The color of sunshine and just as powerful. 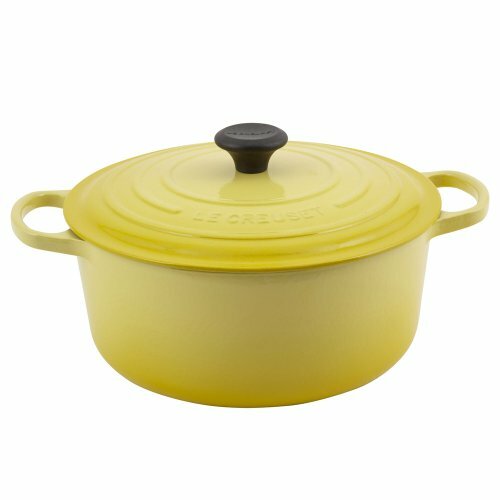 Your Le Creuset 7.25 qt. Round French Oven - Soleil is a powerhouse in the kitchen. 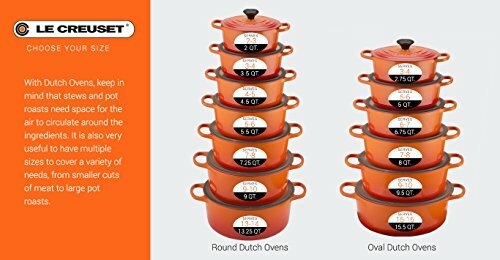 It has a perfect design and generous size ideal for searing and browning larger roasts before slowly cooking them to perfection. This French oven is made of cast iron because it's the best at providing even heat, yet this style has the lightest weight per quart of any premium cast iron cookware available. Ergonomic handles, an advanced enamel that won't chip, and a perfect fitting lid add to the quality. It's safe to use on any heat source and is even dishwasher-friendly. About Le Creuset of America Inc. From its cast iron cookware to its teakettles and mugs, Le Creuset is a global standard of inimitable color and quality. 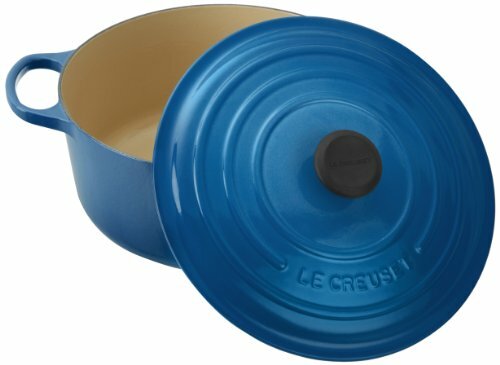 Founded in 1925 in the northern French town of Fresnoy-Le-Grand, Le Creuset still produces enameled cast iron in its original foundry. 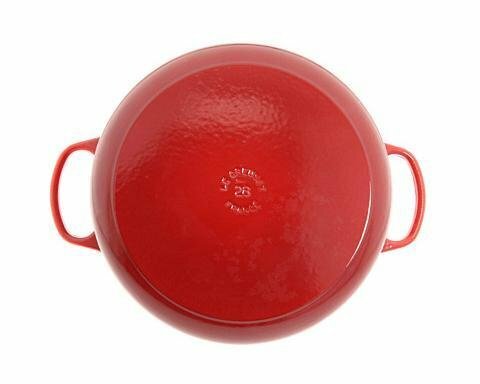 Its signature color, Flame, was modeled after the intense orange hue of molten cast iron within a cauldron (or creuset in French), and has been a Le Creuset bestseller from the company's first year to the present day. Though best known for its vibrantly colored cookware and original inventions such as the Dutch oven, Le Creuset has also forged a name as a creator of stoneware mugs and enamel-coated stainless steel teakettles. 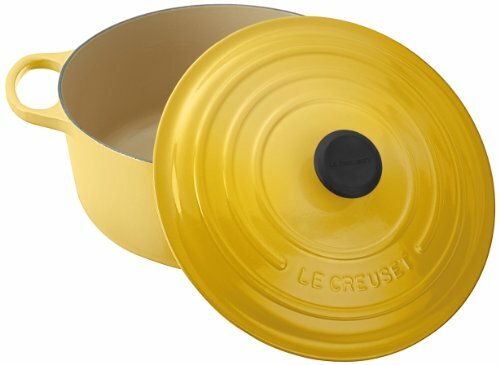 The style and performance of Le Creuset's Cafe Collection and tea accessories are rooted in classic French cookware: bold colors, cylindrical loop handles, unmatched thermal resistance and heat distribution, and of course the iconic Le Creuset three-ring accent. Through its consistent qualities of authenticity, originality, and innovation, Le Creuset maintains a connection to both heritage and modernity. Yellow enameled cast iron resists chipping or cracking. Sand-colored inner enamel prevents burning and sticking. Round oven with oversized handles for a secure grip. Improved lid with built-in stabilizer seal and knob. 7.25-quart capacity.